Pretty Things: You've Got Mail! I could not agree more! Trying to pass that along to my kids. The importance of pen to paper is huge. 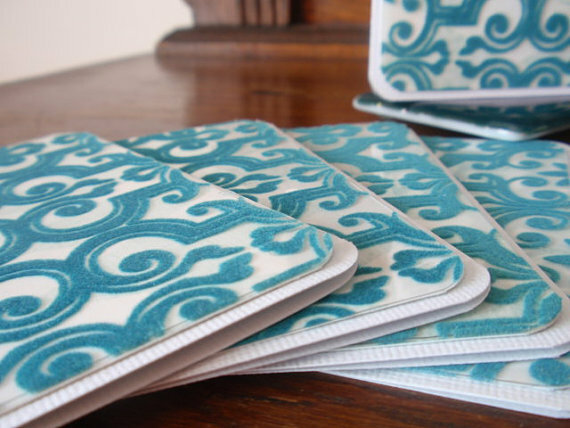 Gorgeous blog - thank you so much for the feature!!! I love your photo, its so true!!! 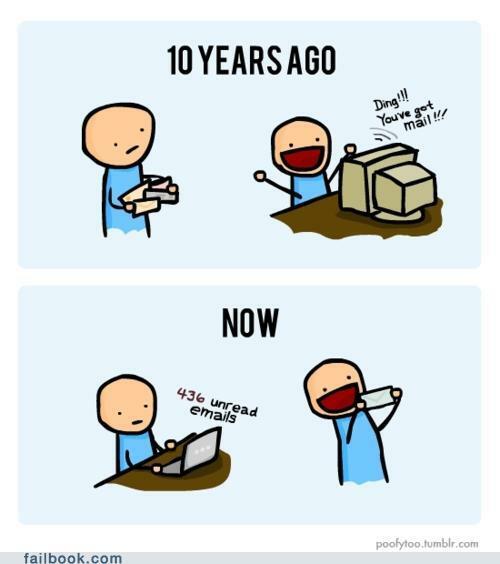 I'm all for bringing back snail mail. It costs so little to send a card, but brings so much joy. Thanks so much for all those links, they are all so pretty. 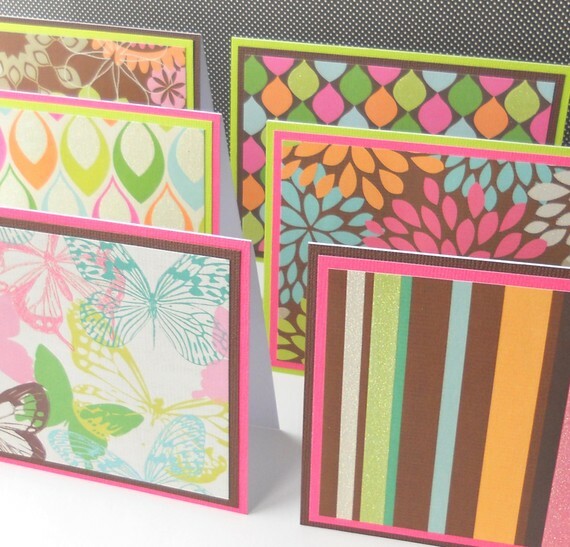 I am inspired to do some of my own cardmaking now. I also want to start gathering address and make it a weekly goal to send at least one card a week to someone. Yes there is something very special about a real letter sent via postal carrier. To receive that special envelope, carefully open it and then read what your friend has been up to ... somehow it means so much more that an email that is buried in a ton of forwards and spam mail. You are absolutly right, Lori. I love to get snail mail and I think it's a shame that pen and paper are delining rapidly! 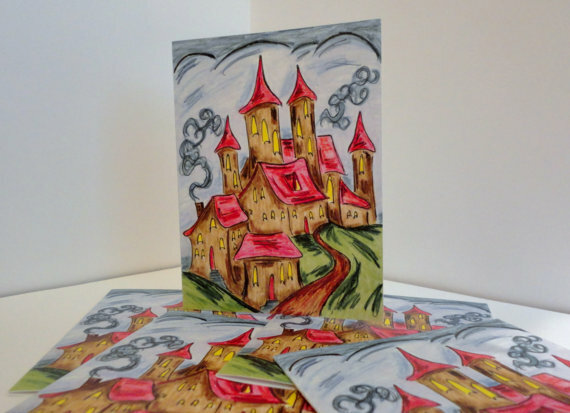 I've been making cards for years and still participate in a monthly exchange with other card makers. It's still a thrill, month after month to receive a handmade card. Your comic is perfect! So true! I love getting snail mail as well! Funny how now that we have all this technology we want the old stuff back! I am confessed saver of mementos. I love my own little boxes of memorabilia .I treasure the letters and other small treasures saved by my mother and grandmother. That's so true! That little cartoon really made me laugh. I used to send random funny mail to the few friends I had that were deployed. I wish I had thought to include an extra card for a friend of theirs who didn't get any mail!! Great post Lori! I received the most lovely (and unexpected) thank you card in the mail last week and it put a smile on my face for the whole day. Letters, cards, little parcels of surprises...so wonderful to give and receive! i have 3 uncles, ages 85, 95 & 97. the first of each month i send them a scenic postcard catching them up on what is going on in my life. last month, while sorting thru stuff i found a 1cent and a 3cent postcard and applied more postage and sent them to the two oldest uncles. you're correct, a letter is nice to receive or to send. I love getting snail mail. And I browse through the card section of stores quite often to find cards I like either for someone right at that moment or to save and send later when something pops up. I agree, I think it is so important to get card you can hold in your hand and prop up in the shelf or what not. It is a long story. but in 1993 I had massive surgery. While I was recovering I recieved one greeting card. Now I had been attending this church for 30 years. But not let bitterness set in I starten taking the church bulitin each week and sending a greeting card to every one on the list. I hope I brightened their day. I still do send a lot of cards, mostly hand made. Great post lori and so true. It's a shame that letter writing is becoming a lost art. 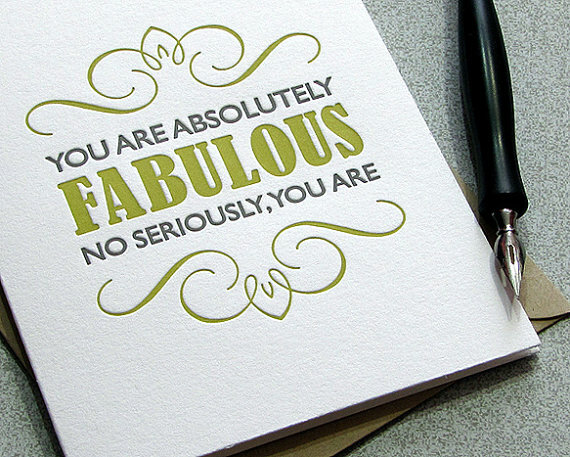 I make all my own cards and still write letters. Maybe we should start a card/letter club. I have been involved with Operation Write Home OWH, since 2007. You send blank handmade greeting cards and OWH sends them out to our troops so they can keep in touch with their families. I have made over 500 cards for our troops. The cartoon is awesome! I too love to get cards and letters in my mailbox. Thanks for sharing and inspiring. Lori, you are so GOOD about remembering a written note. Really, the you are so thoughtful when it comes to sending mail & I appreciate it. I had to laugh at the memories - yes, I do remember cutting out cartoon cartoon strips. 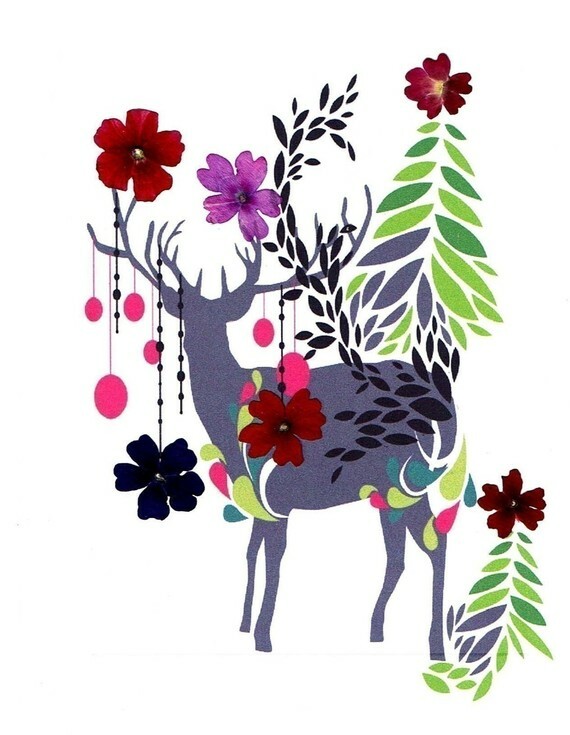 What a great round up of Etsy cards - it's amazing the talent out there. I too wrote lots of letters in high school and college. Last year I decided to revive my letter writing by writing two letters per month, sending them to different people. It was always fun imagining their surprise to find an actual physical letter. But I let it fall by the wayside this year. Thanks for the reminder - time to put pen to paper this week. I love snail mail, too! Still have letters from my grandparents, aunt & uncle from CA, old boyfriend from his time in the service, memories that will always be with me wrapped in pretty ribbons! They are treasures to me! I am all for this old tradition to remain alive and well!